We are by nature dual, no-one wholly good, no-one wholly bad. Everyone has access to reason (Pallas Athene); everyone is more or less governed by his appetites (the beast). The figure of the centaur, half man, half horse, symbolises this duality. The enigmatic figure of Lorenzo de' Medici has for centuries been considered a force for good in Renaissance Florence. In recent times he has been re-evaluated and damned a tyrant. He was neither; he was both; he was a centaur. It is the time of the Pazzi War, which Lorenzo enters with confidence, but the events, the signs, the omens are against him, building up to a pitch where suddenly his confidence is replaced by crushing self-doubt, undermined by a wife who believes that the disaster befalling the family is the fault of his heresies. The only choice seems to be ignominious death or glorious death, and he chooses the latter. Botticelli's painting represents the moment when Lorenzo approached Naples by boat to surrender to the enemy. The centaur symbolizes not Lorenzo but the bestial forces of greed and power which were attacking him. In this painting, Lorenzo is Pallas Athene. We are by nature dual. The story is told by two narrators, one male, one female, in a duet that weaves and spirals towards its conclusion that, although we are dual, we are one, and when a man and a woman are in harmony, unity reigns. 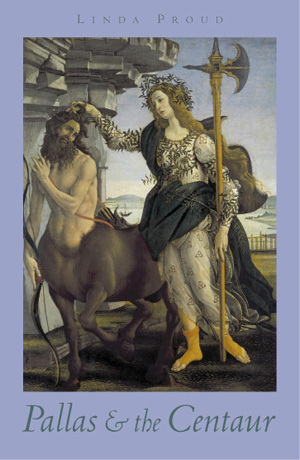 This, the second volume of The Botticelli Trilogy, covers the life of the chief poet of the age, Angelo Poliziano, from childhood up to 1482. His father was brutally murdered when Angelo was just nine. According to the custom of the age, his mother married again immediately and her son became legally an orphan. Although everyone knew it was the fault of custom, it was still common for men to grow up resenting their mothers for having abandoned them. Poliziano was one such. This psychic break with his own mother reflects in all his other relationships with women, and he is torn apart like Orpheus. Against the custom of the time, he strives to recreate his family of brothers and sisters, but he cannot make himself whole until he has forgiven his mother. It is the book of the Renaissance Woman, and she is seen in all her aspects through Poliziano's eyes. There is Lorenzo's mother, whom he adores for her intelligence and wisdom; Lorenzo's wife, whom he abhors for her dogmatic piety and illiteracy; his sister, who enchants him with her eccentric desire to be just like him; Cassandra Fidelis, a learned woman who frightens him; and the Virgin Mary herself, whose image torments him with its ideal of perfect motherhood. Woman twists and turns before the eyes of this confused and unhappy man, until he learns to see her true nature. Following the Pazzi Conspiracy, Florence finds itself at war with Rome and Naples. 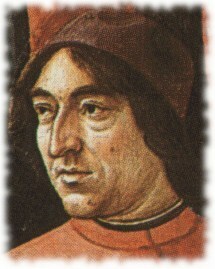 Lorenzo de' Medici, whose brother was murdered by the Pazzi, has no doubt that he has God on his side. His wife, Clarice, is not so sure. Roman-born and pious she is in every way a medieval woman and believes that the troubles besetting the family are due to Lorenzo's 'heresy', that is, his Platonism. Lorenzo sends her to safety, under the protection of Angelo Poliziano. Powerless against her husband, Clarice sets out to destroy the poet. The domestic conflicts reflect - in fact, are intimately connected with - world affairs. As Lorenzo's marriage falls apart, so does his hold on the power-politics of Florence and Italy. Events move to dramatic conclusions that explode each character's beliefs and certainties. The war is not just between Florence and Rome but is a battle between the medieval world and the Renaissance, between superstitious Christianity and Christian Platonism, between faith and reason, between a woman and a man. It is the battle of Juno and Zeus. 'I have just finished Pallas and the Centaur. I am empty and full, I am spent and refreshed, my heart is wrung out yet beating strongly. I'm shining if not radiant from the reading. MAGNIFICENT'. Tim Pears, letter to author. 'Maria Ambrogini is woven with such passionate insight, a voice for the age speaking for the women of the age, from the heart of a woman of this age, who struggles to be truly a woman, magnificently a woman, all that a woman can be, all that a human being can be.' Raymond Auerbach, Director, Rainman Landcare Foundation. 'The two voices. . . weave a tapestry of word pictures which show us Lorenzo's court, his family and friends, and the people of Florence suffering the effects of war, floods and plague. This is a wonderful historical novel written by an author who can bring the past and its people vividly to life.' Historical Novel Society. One is brought through reading a historical novel into a knowledge that transcends history. Jeremy Naydler. 'The sudden sound of 'Hera's deep voice' coming out of Monna Clarice gives one goosepimples.' Noel Cobb. 'The depth of research is quite overwhelming but more than that the insights in relation to Platonic philosophy are tremendous. The way Beauty is described as detached from its object - particularly in the scene where Lorenzo in Naples sees the true Venus rising from the sea - is revelatory. I've never comprehended the full significance of the Birth of Venus in quite that way before.' Jill Line.